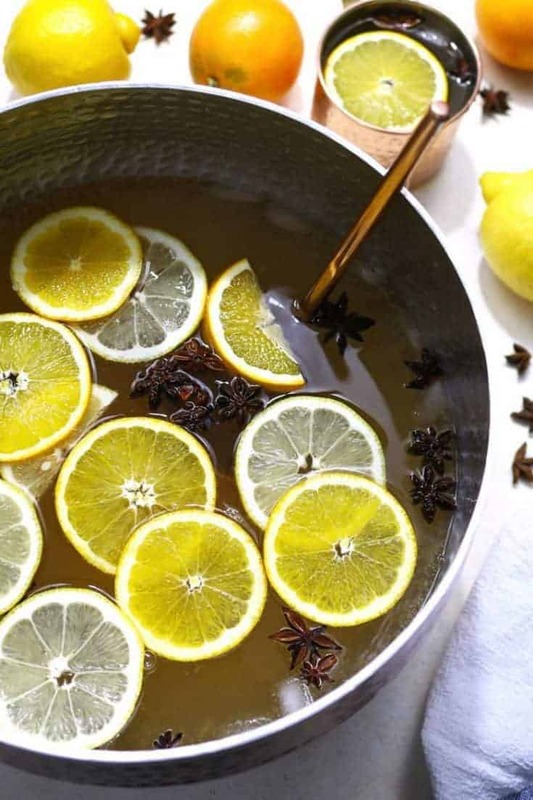 This ginger citrus punch recipe is VERY easy to make and it’s perfect for all parties! Whether it’s Christmas, New Year’s Eve or a birthday party, this is going to be your new go-to big batch cocktail. Not many people know this, but I once had serious thoughts about writing a cocktail cookbook featuring big batch cocktails. Like this one. Every time I know we are going to have at least 10 people over, I will make up a new punch recipe. My brother-in-law calls it my happy juice. “Jen, do we have happy juice again?” he asks and I just nod with a big smile on my face. 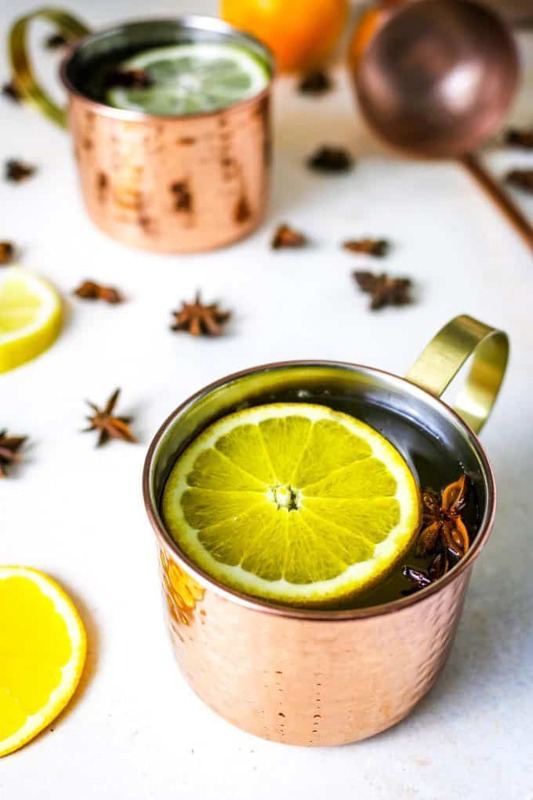 Punches like this ginger citrus punch are so easy to whip up that they are perfect for the holidays too. Christmas, New Year’s Eve, bridal and baby showers – even weddings; party planning for any of them can be made easier by making a punch. You also need ginger beer AND ginger ale. Lots of fizzy ginger-ness. Grab your vodkas – orange and citrus (or citron). Then add some star anise for some herbal goodness. Not too much; it can overpower everything. Just enough to get that smell when you stir it. Slice up an orange and a lemon for garnish in the bowl and in the glasses. And get ready. To party. The recipe can easily be doubled, tripled or halved. If you’re having a big party, get extra ginger beer and ginger ale so you can whip up another batch, lickety-split. And if you are having trouble with this recipe, or just want to see how easy it is to make? Watch the video! 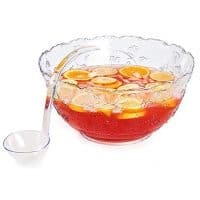 Any large food-safe container is a good container for serving punch. 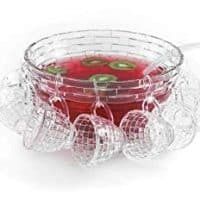 Punch bowls and pitchers are classic go-tos and are great for big batch cocktails. 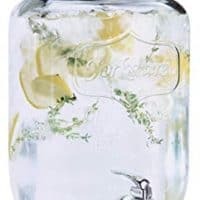 I love upright dispensers like this mason jar dispenser – for anyone into tablescapes, this is a great way to add some height. If you’re looking for something unique, carve out a watermelon and serve your punch inside of it. Try a Dutch oven, a bundt pan, even a large soup pot – just make sure its large enough to hold a lot of punch. Can you make punch ahead of time? 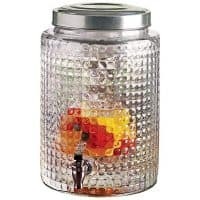 If you plan to make punch ahead of time prepare it the morning of your event. Also, if your punch has anything carbonated (ginger ale and ginger beer for this recipe), add it right before serving. How do I keep punch cold? The simple answer is chill the ingredients ahead of time and then use ice. The better answer is large ice blocks or rings. You can make ice blocks in advance using a round container, like a bundt pan. I always use bottled or filter water so that the ice blocks are clear – tap water often leads to ice cube discoloration. 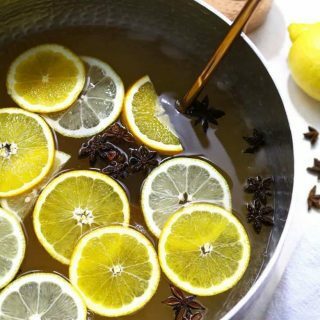 This ginger citrus punch recipe is VERY easy to make and it's perfect for all parties! Whether it's Christmas, New Year's Eve or a birthday party, this is going to be your new go-to big batch cocktail. 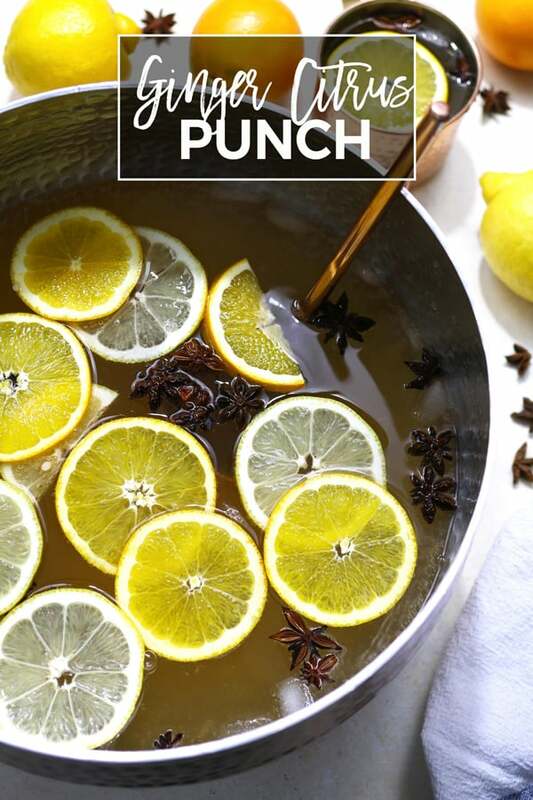 Combine all ingredients in a punch bowl. Add ice and serve. Garnish with lemon and orange slices if desired. Looking for more punch recipes? 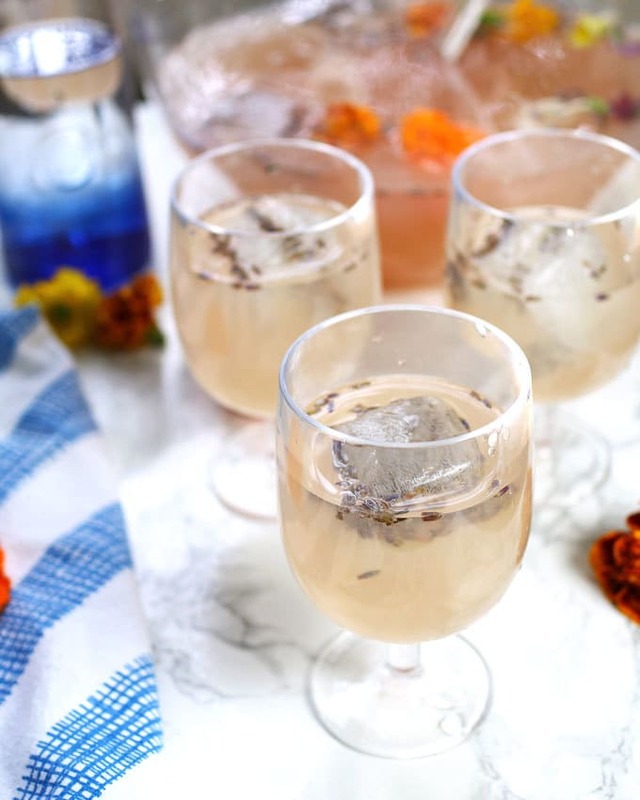 Try this boozy honey lavender lemonade. 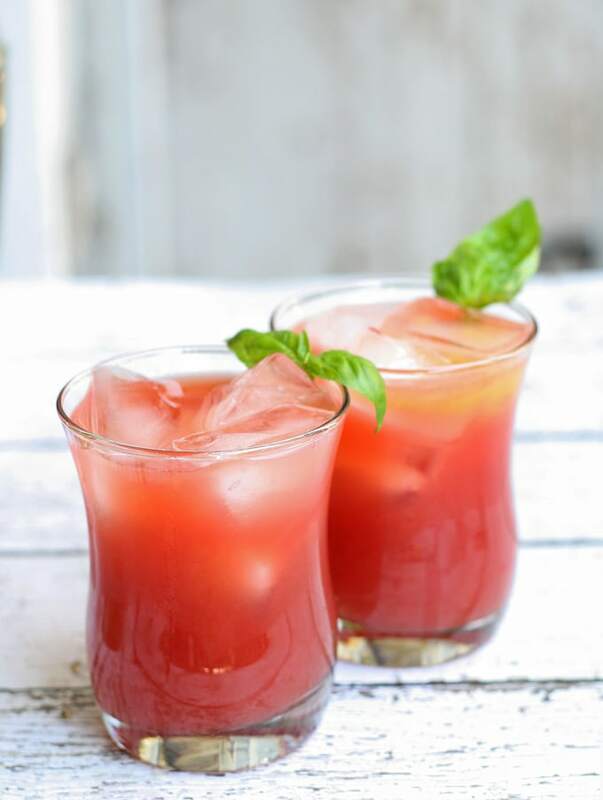 Or this PAMA sunrise punch. I would buy your cocktail cookbook :-). These drinks are gorgeous and would make any party fun. Everybody needs a few simple and “big batch” punch recipes! Looks yummy! Sign me up for your cocktail cookbook! During the holidays (and every other family gathering), I’m always in charge of making the punch. Love the flavors in this one! Thank you Maryanne! Totally going to finish the cookbook now! 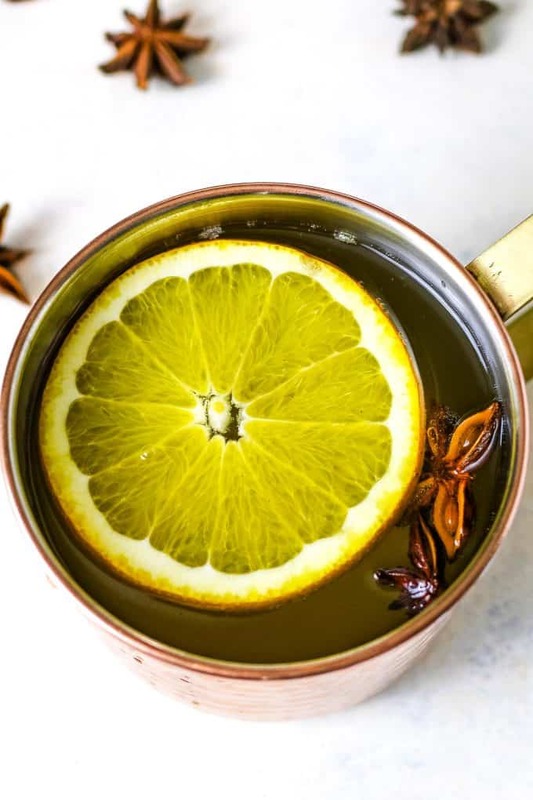 Wow this ginger citrus punch would be perfect for our Christmas Eve party that we’re hosting again this year! OK. I officially love that you wanted to make a cocktail cookbook (ME TOO!) and whip up a new batch of happy juice whenever y’all are hosting a crowd. I’d love some of this punch, too. I meaaaaaan… how could it NOT be good this time of year?!? I could really go for a refreshing punch right now! This looks delicious! Eek, thanks for catching that. It should read 2 gallons of ginger ale. Fixed it!! This looks FABULOUS!!! 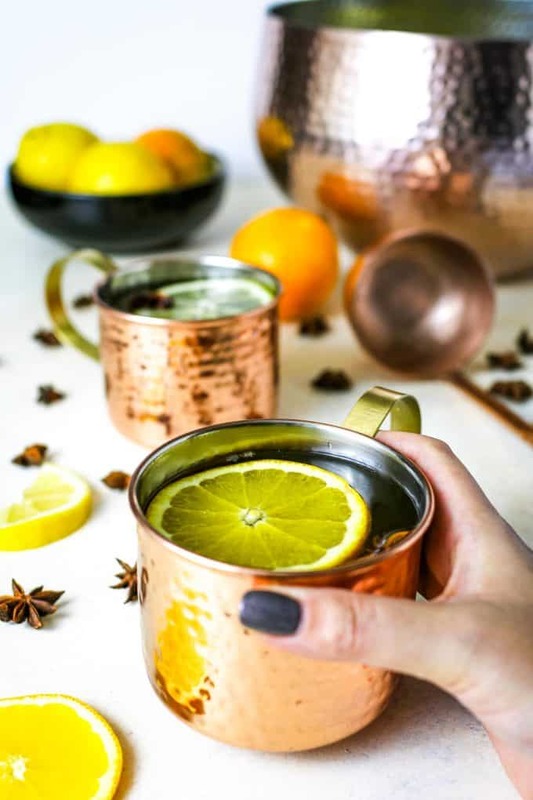 I love the taste of ginger in cocktails….can’t wait to give this a try! Amazing! This sounds really refreshing! Absolutely trying this one! I love all your photos! such gorgeous styling!